Congratulations Nick, Andries & The Wests! FCT’s Nick McLennan and Andries de Meyer are celebrating an amazing victory after winning their rugby grand final! 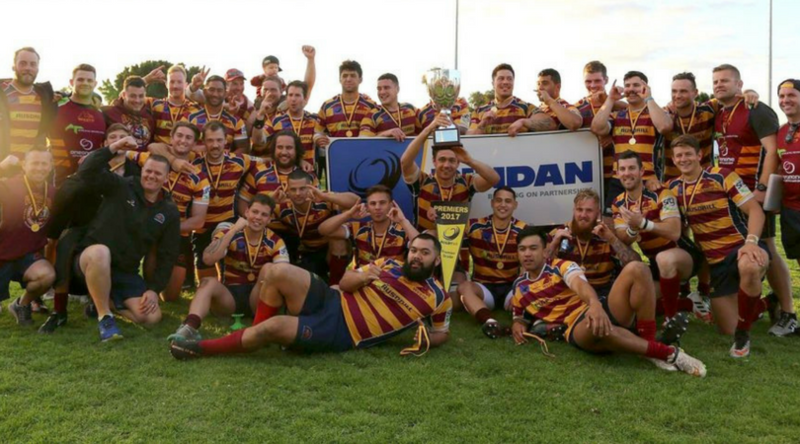 Nick and Andries play for the Wests Scarborough Rugby Club who defeated the Associates Rugby Club 27-15 in what has been described by the Stirling Times as an “entertaining” game, making this a back-to-back Premiership for the Wests! This is an amazing win for the Wests but there is more to celebrate because Andries also received the Patrons Trophy at the Awards Night! In the past, Wests had won four grand finals in a row! After this winning streak it took a few years of hard work and dedicated players to reach that top spot in 2016, and now again this year. The Wests hold a special spot in the heart of FCT as it is our founder, Tim Harris’s old club. FCT is a keen supporter of the club after having many players work here over the years. FCT would like to congratulate the Wests on their incredible win and are incredibly proud of Nick and Andries. We’d also like to extend our congratulations to Andries for taking home the Patrons Trophy.